Hello! 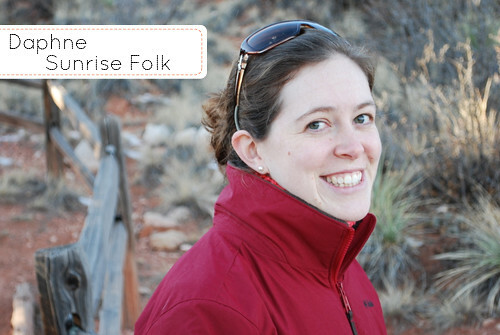 My name is Daphne from Sunrise Folk. I love Lady Grey tea and re-purposing vintage clothing and linens into functional accessories like aprons and bags. I have also recently found wool felt (if you've never used it before you really should try it, it is lovely!) 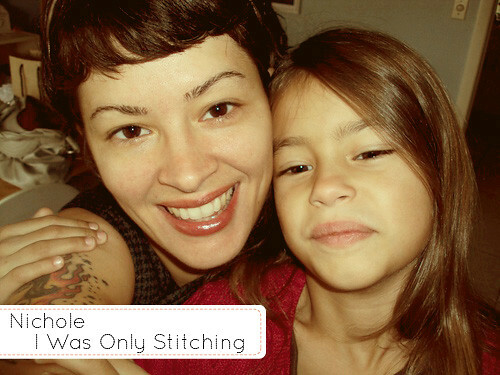 and have so much fun telling little stories through the creatures & creations that get stitched from the images that come to me while I'm falling asleep or washing the dishes. I'm Cristina and I am the founder of GetCraftee.com! 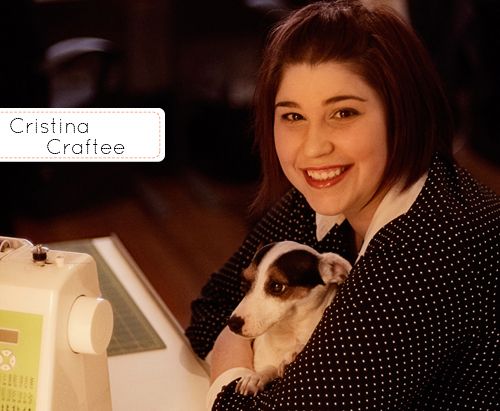 Craftee is my part time hobby, and other than blogging I enjoy making all sorts of crafts. My favourite things are crocheting and embroidery! I'm also trying to get comfortable with my pretty little sewing machine! I love everything to do with crafts and I could spend hours and hours inside a Michael's or Fabricland (here in Ontario we don't have awesome stores like Jo-Ann's!). Away from Craftee I work full time as a project coordinator at Ganz (they make Webkinz!). I'm in school part time for Business Management/Marketing (Don't ask how I find the time for it all! Sometimes I wonder myself lol). I love animals and I have a cute Jack Russell named Miss Piggy as well as two crazy cats (Ninja and Smudge). One of my other passions is cake decorating and I even used to work at a cute little Cupcake shop here in Toronto. These days I try to bake/decorate on weekends and for special events to keep my skills in tune. I'm Amina, a broke, starving, college kid. I love to sew and make things and have two lovely cats that love to stick their noses into my projects. [They have great creative advice!] I do a lot of sewing of clothes and bags, loveeee book-binding and try to upcycle as much as possible for the sake of the planet. Thrift stores are my Sunday mass. 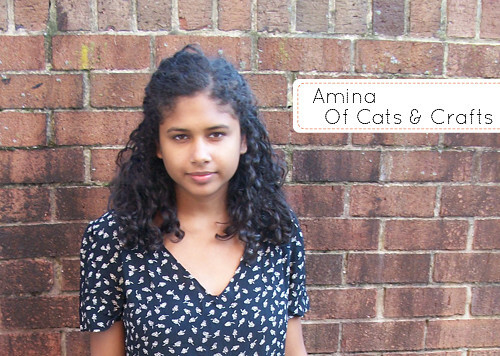 I started my business Cats and Crafts by Amina over the summer because I couldn't find a job and have fallen soo in love with it! As I'm still pretty new, my shop and aesthetic are always changing with the seasons so keep up with it by following my blog! 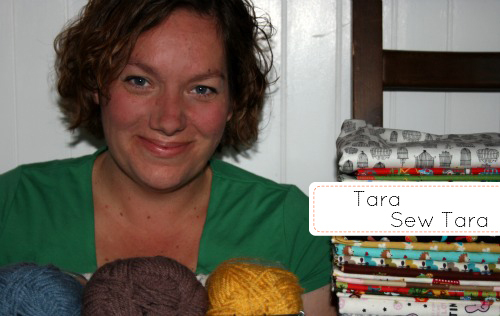 I'm Tara over at SewTara where I make things and show and tell them. I'm also a mommy to my 2 little boys and spend my afternoons playing games with children in a noisy gym...oh I mean teaching. I started my blog as a way to journal my creations and keep myself motivated. It's grown from there and I'm loving every minute of it. My name's Talia (Ta-LEE-a, or T'lia). I live on the beautiful Sunshine Coast, Queensland, Australia with my husband and our puppy, Pepper. I'm a teacher, and crafter, and those two things, combined with cleaning the house, takes up most of my time! I remember pretty clearly when I started crafting. It was a rainy day, I was surfing the web, found a tutorial for felt mushrooms, thought, "I can make that". And so it began... Since then have joined my nana's craft group and I love making things with her each Tuesday morning. Everyone should try to learn as much as they can from their grandparents! My blog, Life's Visual Journal is called that because it's about the experiments, trials, colours and patterns that make up my life! 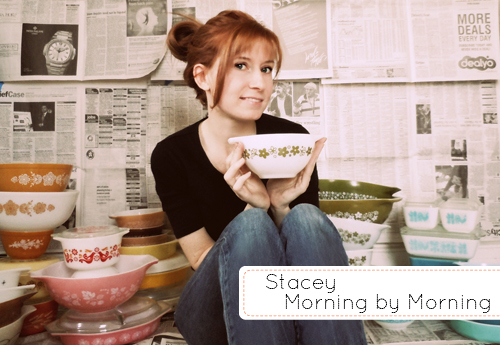 Hello, My name is Stacey! I am a full time crafty Mom, part time waitress extraordinaire. Some of my favorite things are collecting Pyrex, eating lots of sushi, drinking tons of lattes, taking pictures & going thrifting. I recently opened a little Etsy shop -One Fine Day- full of vintage treasures. In my free time I write about all my adventures on my blog Morning by Morning! Hello, I'm Bean Bell. I got really restless and bored at the end of 2010. Instead of having a midlife crisis, I started a blog. I'm too young for a midlife crisis anyways! I decided to merge my love of craft materials with my admiration of animals. I think bats are adorable and I once acted as a midwife for a goat named Cheese. I am a part-time nanny (aka Beaniesitter) and recently sold fancy chocolates, worked in a pet store, and volunteered at Brookfield Zoo. 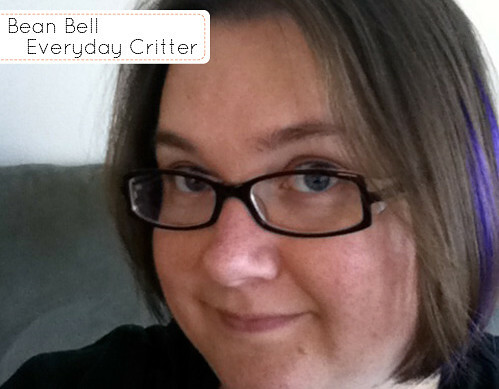 I hope you enjoy seeing what animals, critters, and beasties I create! Hello! 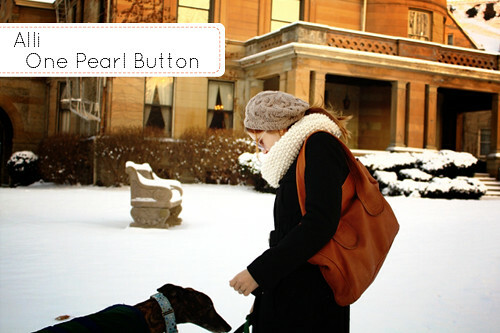 My name is Alli and I blog at One Pearl Button. I'm a graduate student and Roman archaeologist who loves all things vintage and creative. 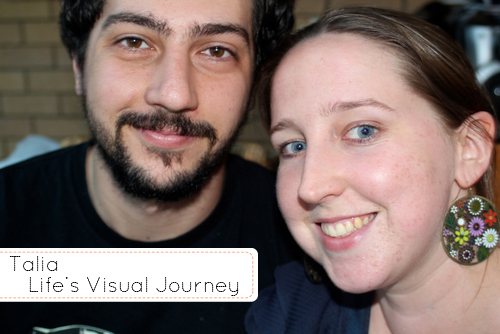 My blog documents my creative life, primarily through crafts and photography. I'm crazy about instant analog photography, and I also run a shop, OPB Studios, where I sell my Polaroid photos and fun things made from them. My other favorite things include scooters, tea, and my retired racing greyhound. Stop by OPB sometime; I would love to get to know you! Hello! My name is Lauren. 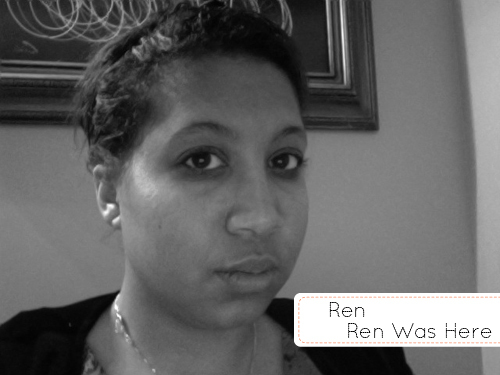 I go by Ren. Hence the name Ren Was Here. 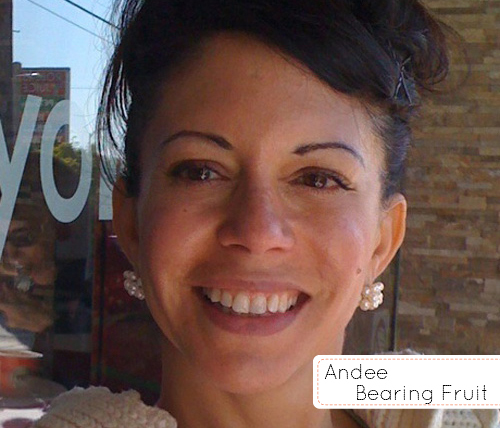 I'm just a person who enjoys writing, crafting, baking, singing, and learning new things. I blog because I enjoy sharing what I have to say, even if no one actually reads what I write. I go back and forth on writing styles, but the one thing that stays the same is me! 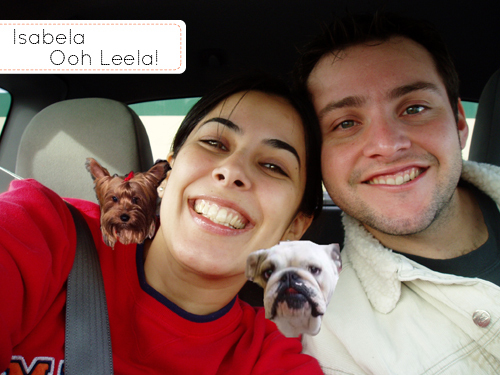 I am a loving mommy of 2 cute puppies, Melvyn and Leela, an English bulldog and a silky terrier. If you guessed Leela is what inspired me to name my shop (and blog!) Ooh Leela!, you are absolutely right! I love hanging out with my husband, sitting on the couch, popcorn in one hand, his hand in the other. And when I am not doing that, I love to sew and make things. This is what inspired me to start my own line of unique dish towels, kitchenware and accessories: Ooh Leela! Thank you so much for introducing yourselves, ladies! It's so good to see your smiling faces! Now, go visit these wonderful sponsors, and see what they've got to share on each of their blogs...they have stories to tell!